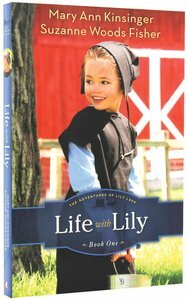 About "Life With Lily (#01 in The Adventures Of Lily Lapp Series)"
Customer Reviews For "Life With Lily (#01 in The Adventures Of Lily Lapp Series)"
We usually have such a hard time finding books for our 8 year old avid-reader, this book was perfect! A great combination of challenge - reading-wise, with wonderful content. She absolutely loved getting to know Lily through the pages of this book, plus the added bonus of learning about how other people live. I would certainly recommend this book for all little girls!